Tiara Jewelry Case – Origami-inspired Leopard print jewelry case with unique multi-pockets and six removable pouches. 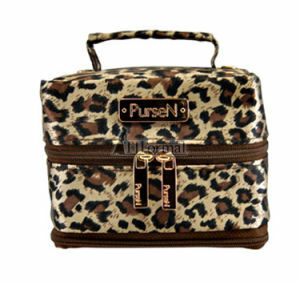 PurseN Organizer inserts, bags, and jewelry cases are the prefect way to stay organized, and in style! When it comes to accessorizing a women’s wardrobe, it’s all about the handbag. What if the inside could look just as good as the outside? Finally, there’s a stylish solution for a woman’s mess of a purse! These pieces make great bridesmaid gifts!